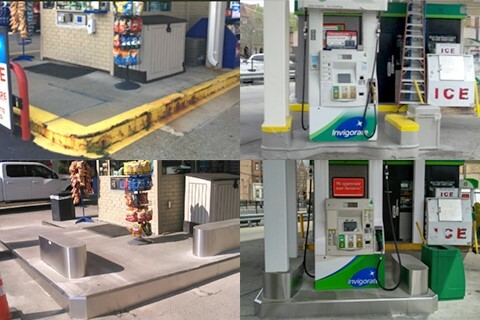 Hunter Pump Islands is a retro-fit island system that combines stainless steel and concrete to reface your gas pump islands. We can save you time and money by not shutting you down or pulling your pumps. We also offer stainless steel curbing for around your station or carwash! Let us eliminate the cost of repairs and annual paining associated with your islands!